Melanie Parke filters and reconstructs pastoral and bucolic still life settings that emerge from her own life through the ideology of memory. 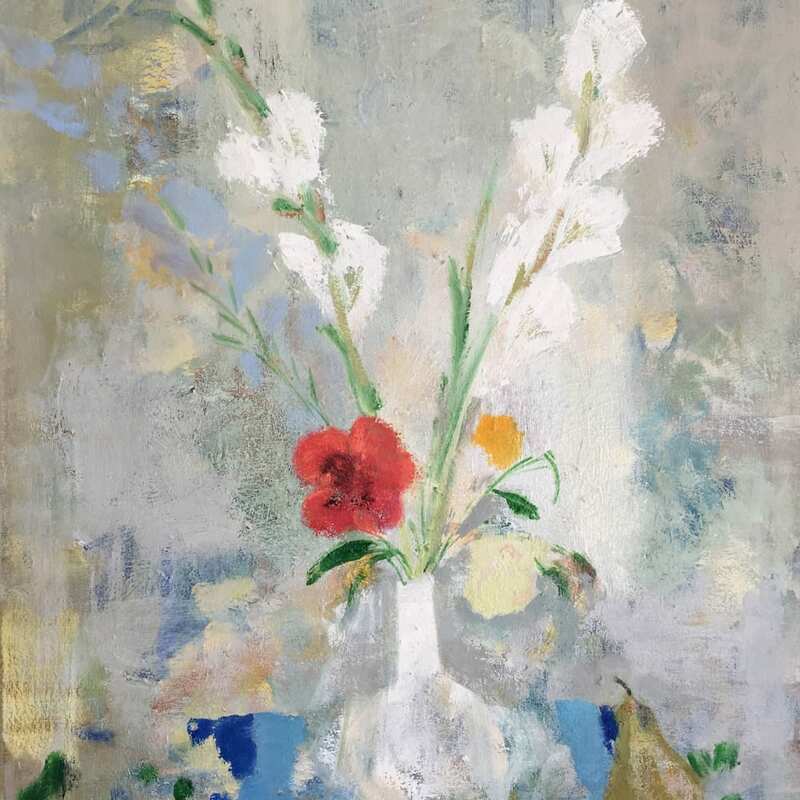 Flowers bind the artist to friendships and the women in her life; that sentiment propels her to paint compositions which reference lush clusters of time. Parke’s painting is a pleasure seeking process, the artist arranges the pictorial space intuitively, in broad and textured gestures, then pieces together arrangements that compose a homespun narrative. Specific interiors, botanical species and landscapes are often implied. By shifting the emphasis to pattern, texture and tone, she works to destabilize notions of exacting representation in an effort to build on a sensation of memory which conjures both comfort and longing. Parke’s paintings have been exhibited widely throughout the United States. Melanie Parkes lives and work in Michigan.